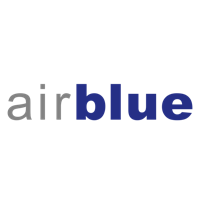 Pakistani airline airblue first began flying in 2003 and connects Pakistan to various cities in Saudi Arabia, Oman and the UAE, and it was also the pioneer airline in Pakistan to switch to online check-in. Owned privately, this airlines’ fares are the second largest in Pakistan. The frequent flyer programme of the airline is called Blue Miles, allowing passengers to redeem special offers with collected points. Air Blue online booking is available with tajawal. The option of online check-in is available from anywhere between 2 days to 2 hours before departure for Air Blue flights. Economy Premium class allowance is two pieces of luggage with a maximum weight limit of 30kg each. Economy Standard class allowance is one piece of luggage with a maximum weight limit of 30kg. All the passengers are allowed one piece of carry-on luggage with a maximum of weight limit 7 kg.